Rabbi Marvin Hier, Allen Falk, and Mikey Weinstein (he of the misnamed Military Religious Freedom Foundation) are all screeching about the photo above--Heads must roll! 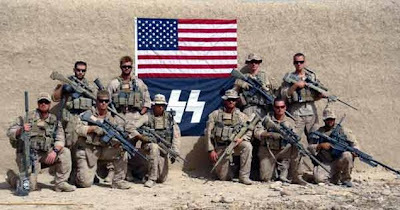 No, they're not howling because the Marine scout snipers pictured in 2010 in Afghanistan were part of the +10-year-long US occupation of that country. No, they're not incensed over the death toll of Afghan civilians since the US invaded in 2001 or the Marines who apparently desecrated Taliban corpses. No, the real outrage is that these Marines posed with an "SS" flag. Oy, the humanity! 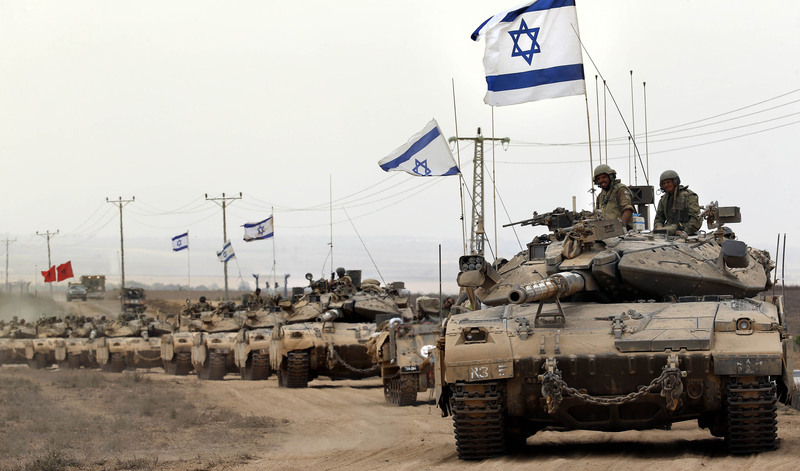 These Marines are not Jewish-compliant and the Corps must be whipped into shape. When I first read about this episode, to their credit, the Corps was saying that "disciplinary action was not warranted" against the Marines in the photo. Today, however, the Jewish onslaught seems to be bearing fruit and the Marine Corps Times reports that Commandant Jim Amos is "sorry" and "has ordered an investigation". Abe Foxman and the ADL are "pleased". Don't hold your breath waiting for Hier, Falk, Weinstein, Foxman and their minions to condemn the band KISS and its Jewish Israeli front man Gene Simmons for their use of the "SS" symbol (see below). 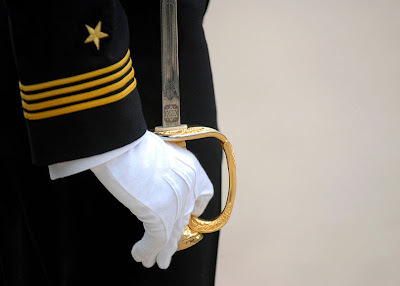 Likewise, don't look for ejaculations of outrage over the symbol that appears on the blade near the hilt of US Navy swords (photo at bottom; click to enlarge). The symbol bears a disturbing resemblance to a well-known hate symbol appearing on the flag and military equipment of the violent racist and apartheid state, Israel.